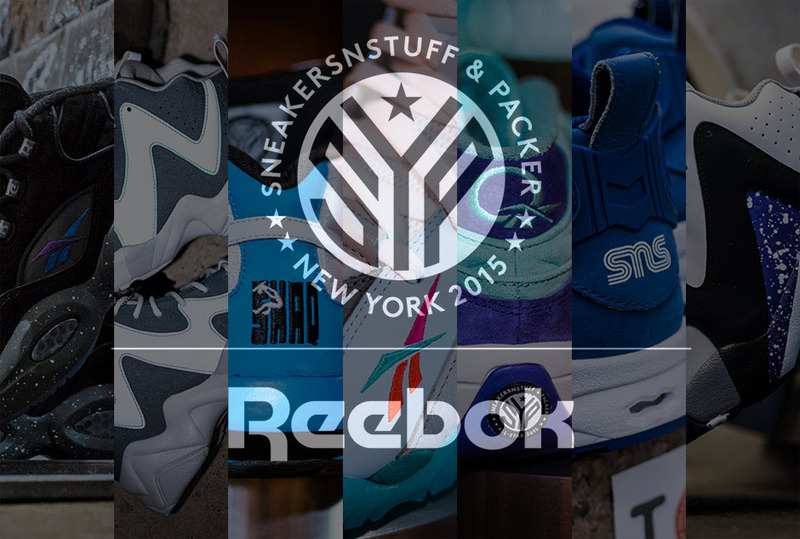 The sneaker collaboration is a more-than-common sight in the current sneaker landscape. But there’s still one way to do a collab with some uniqueness: add another party to the mix. Two boutiques and a sneaker brand? An artist, a boutique, and a sneaker brand? Two artists and a sneaker brand? The combinations of those involved vary, but and added party to the traditional two-way collab makes the final result that much more impressive after you consider how many minds are attached to the design process. 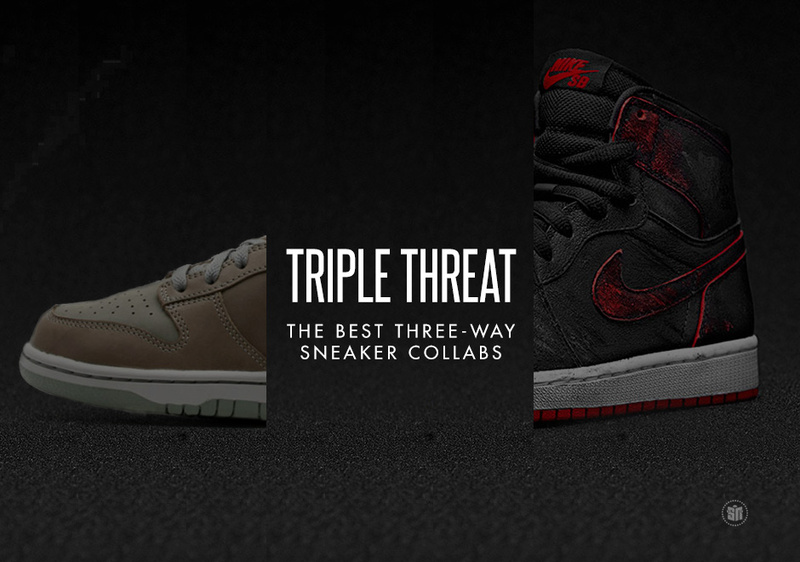 Now with three-way collabs even becoming more of a normal practice, we thought we’d look back and remember some of the best collab sneakers from three different outlets getting together for a memorable sneaker release. You can always count on BAPE, Undefeated, and adidas Consortium to kill it on their own individual offerings, so when the three teamed up, you knew it was going to be insane. The pack containing the Campus in two color ways and the ZX 5000—each featuring BAPE’s signature camo—topped many lists for the best collabs of 2013, and is still today one of the most highly sought after adidas collab projects ever. The ASICS Gel Lyte III got some Parisian influence from the likes of the La MJC collective and sneaker boutique colette in 2008, and the result was the greatest import from the country since French Fries. 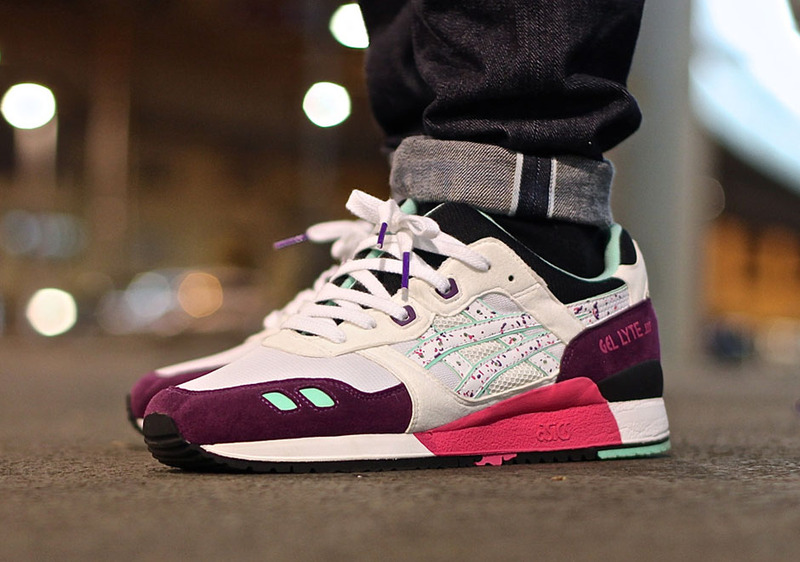 Limited to only 100 pairs upon release, the awesome colorway has since become one of the most coveted ASICS sneakers ever. 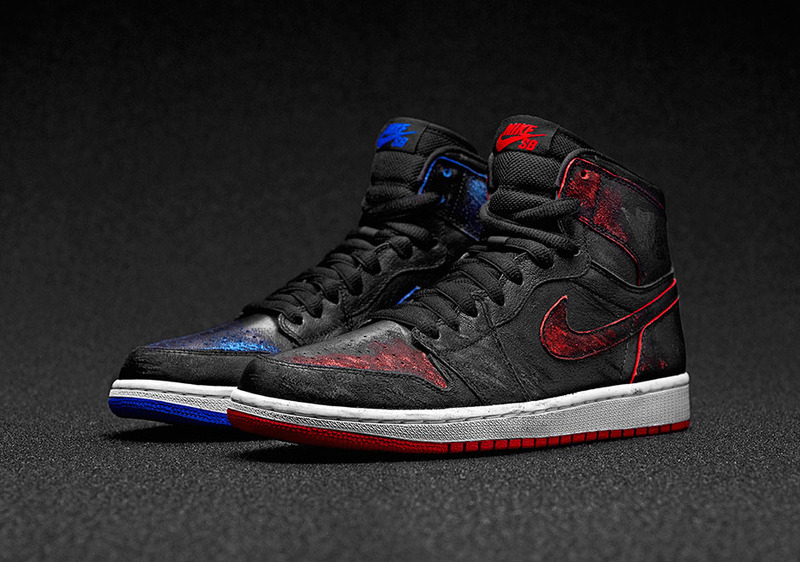 One of the most unique, memorable, and historically-meaningful sneaker collaborations ever was released in the summer of 2014 with the painted Air Jordan 1’s from Nike SB and skate legend Lance Mountain. Playing off the idea that skateboarders in the 1980’s often spray-painted or customized their skate shoes, former Bones Brigade member and Air Jordan 1 wearer Lance Mountain presented mismatched pairs (one “Royal” and one “Bred” colorway) covered with your choice of black or white paint intended to be scratched and rubbed off with wear and tear. 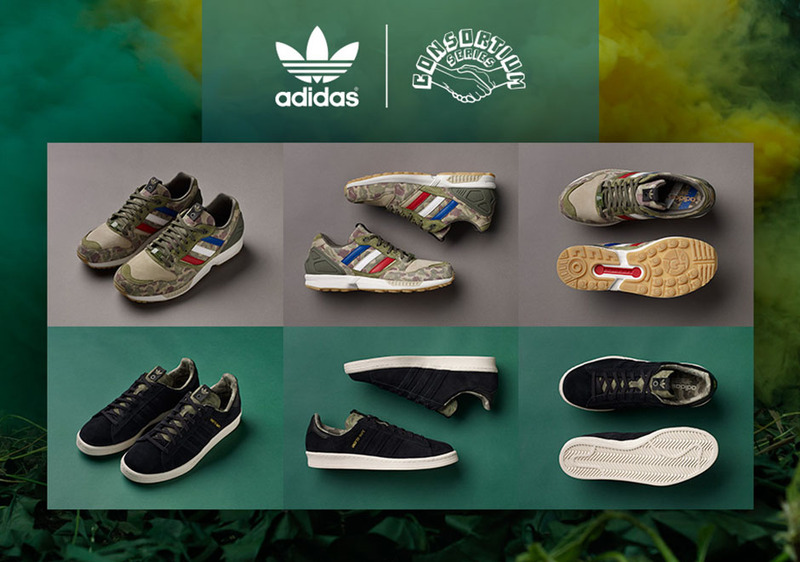 The creative concept, excellent execution, and high demand all helped these top many lists of the best collabs of 2014. 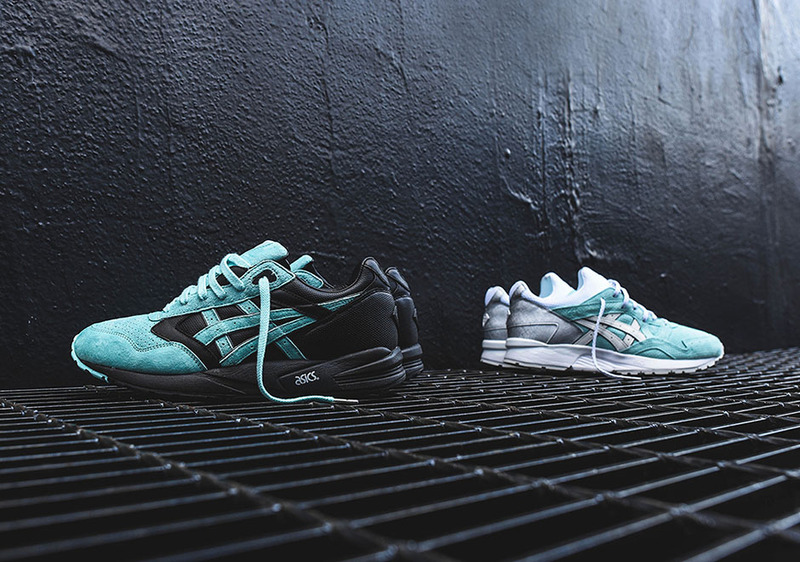 East and west coast streetwear powerhouses Kith and Diamond Supply Co, respectively, teamed up with ASICS for one serious set of sneakers this summer, presenting the two-shoe pack of the Gel Saga and Gel Lyte V in the signature mint tones of Diamond with the premium quality and excellent color blocking you’ve come to expect from any project by Ronnie Fieg and the Kith crew. 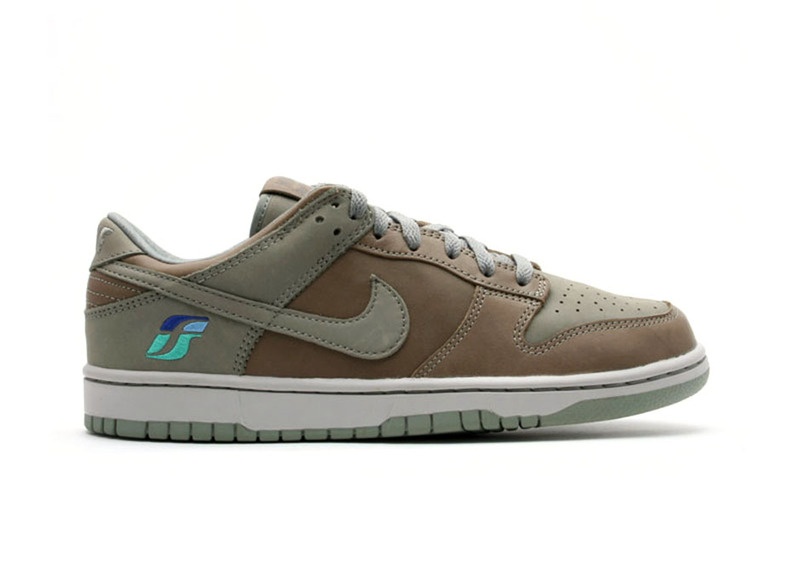 Celebrating the launch of the Nike iD customization platform that we now all know and love, in 2005 renowned sneaker-related artists Stash and Futura presented a collaborative take on the Dunk Low in a clean grey and olive colorway. A highly limited Friends & Family only release, the three-way collab now fetches big bucks on the secondary market. A noted sneakerhead celebrity for years, rapper Wale finally got an official collaboration sneaker in 2015 compliments of retailer Villa and ASICS. 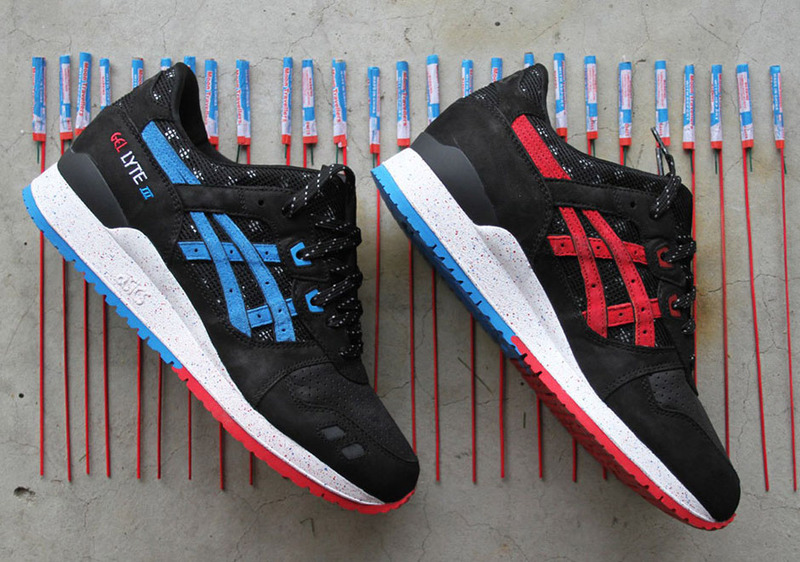 Entering the collab world with a bang, Wale presented the Fourth of July inspired “Bottle Rocket” colorway with a subtly star-studded black upper with patriotic red, white, and blue accents. 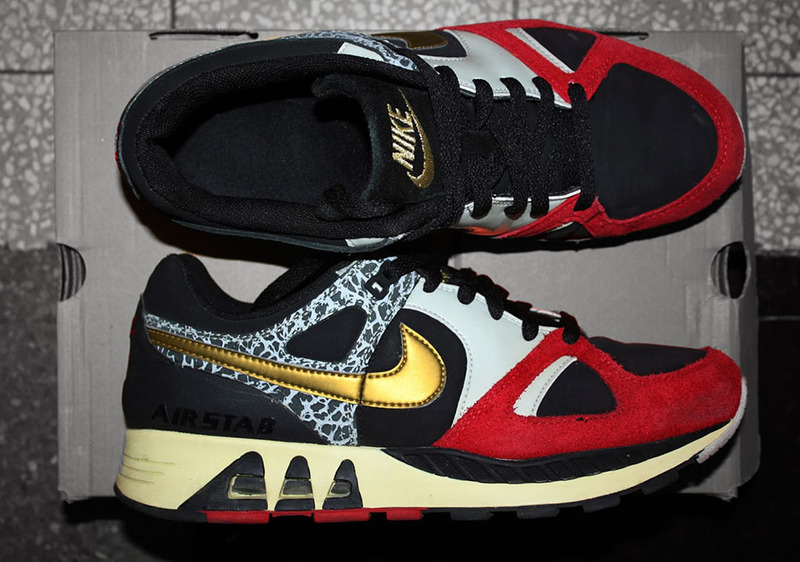 Two of Japan’s most well-known sneaker shops teamed up with Nike on a duo of exotic colorways for the Air Stab in 2006, each featuring elephant print paneling and metallic Swooshes for some of the boldest takes on the classic Nike runner ever. OK, so we’re cheating a bit by putting this one on the list, because it’s actually a four-way collab, from Real Mad Hectic, Undefeated, Stussy, and New Balance on the MT580. 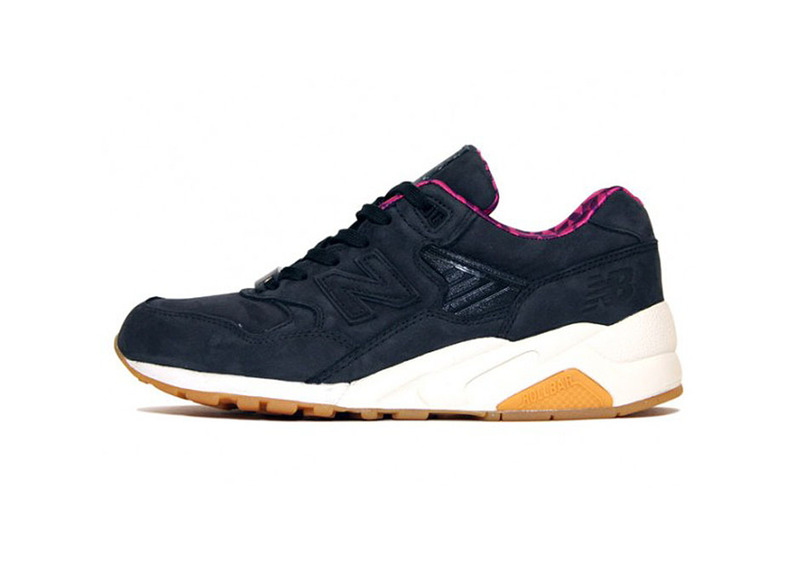 The three labels teamed up with New balance on a few versions of the MT580, but we chose this one in a black nubuck upper with purple accents and a gum sole because it seems to have aged the best. When the biggest name in American streetwear combines forces with the biggest name in French streetwear for a sneaker collab, it’s going to be a major affair. And that is indeed what all three of the collections from Supreme, Comme des Garçons SHIRT, and Vans were. 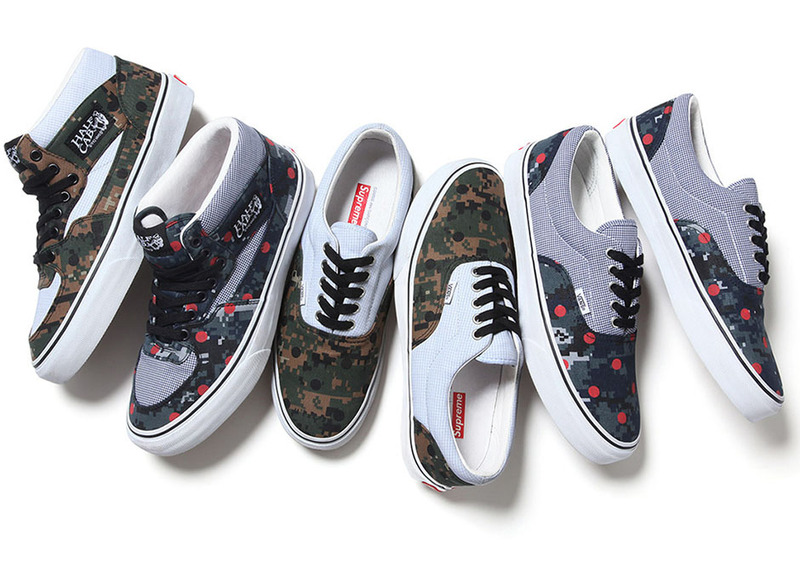 Each with distinctly printed canvas uppers, the three collections consisted of one featuring a combination of digi-camo and polka dots, one with thin blue and white pinstripes, and a third with pinstripes, polka dots, and a tribute to the late NYC skate legend Harold Hunter. Sweden’s Sneakersnstuff linked up with New Jersey’s Packer Shoes for a cross-continental celebration for the 2015 NBA All-Star Weekend, dropping not one, not two, not three, but seven Reebok sneakers at a special pop-up shop in Manhattan. Making the event even more epic, former Reebok-wearing NBA legends Shaquille O’Neal, Allen Iverson, Shawn Kemp, and Dominique Wilkins all made special in-store appearances throughout the weekend, cementing the “Token 38” project as one of the coolest All-Star events ever—not to mention some pretty great colorways of classic Reeboks. Any Air Max 1 fan knows these. 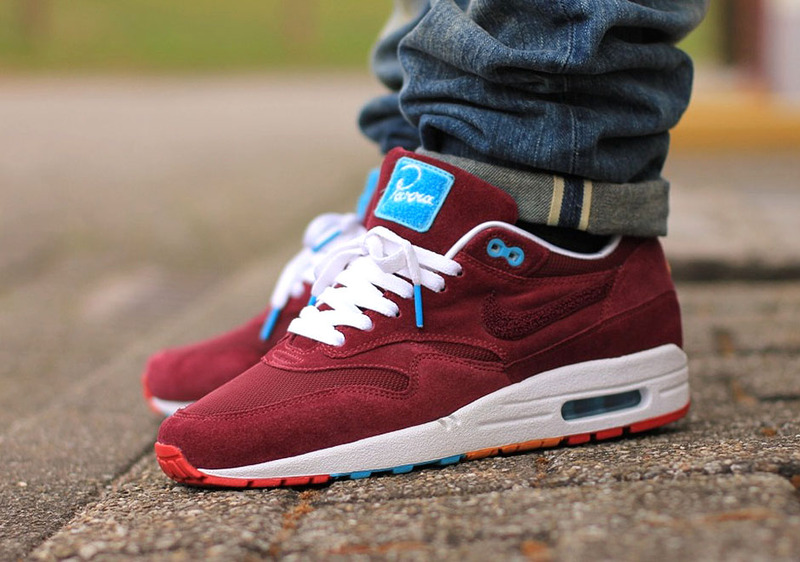 Regarded as one of the best Air Max 1 colorways of all time and one of the most sought after Nike collabs to this day, Dutch artist Parra joined with Amsterdam’s famous Patta boutique for a joint effort on the classic runner in 2010, presenting it in burgundy suede and mesh expertly accented with baby blue and white with terry cloth Swooshes and tongue tags. Parra loaned some of his artwork to the insole to complete the amazing Air Max 1.